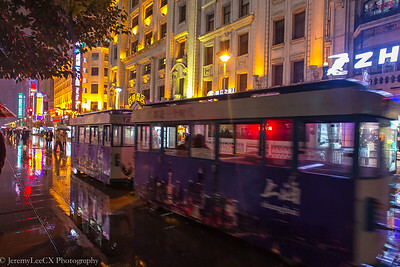 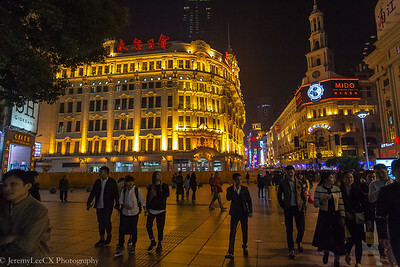 Previously, I wrote about my morning stroll along Nanjing road towards the bund, during the trip, I repeated the same route albeit at a different time, this round at night. 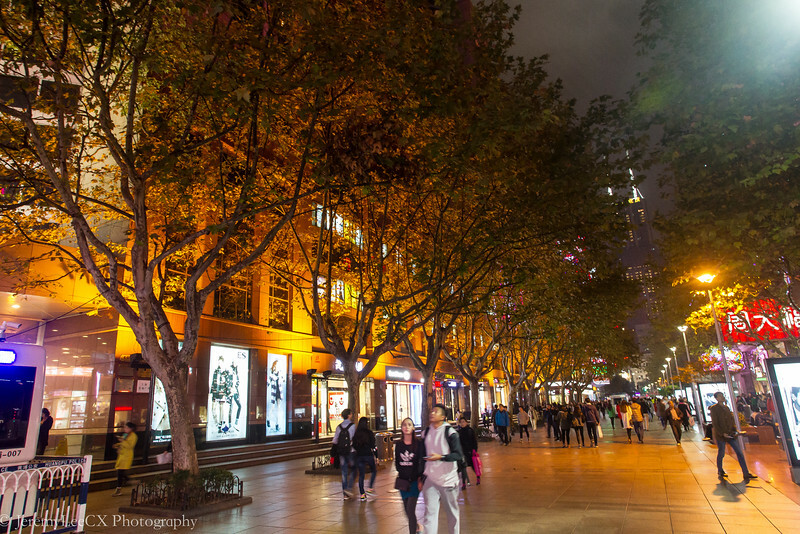 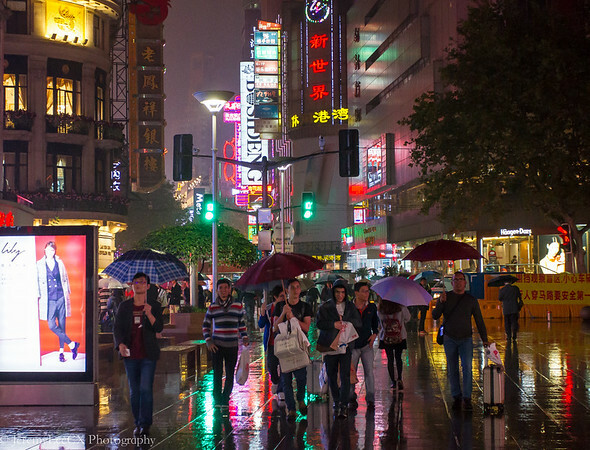 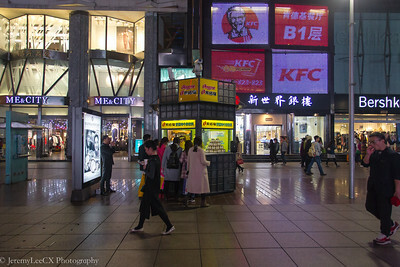 The entire stretch of Nanjing road seem to have a wardrobe change when night falls, as the neon lights and building lightings come alive, the whole street change in demeanour. 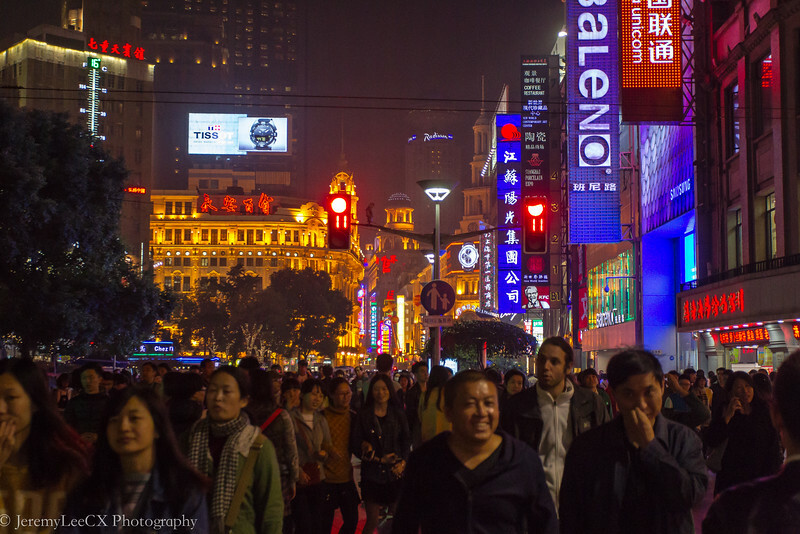 The crowd also change from tourists and working professionals in the day to a more relaxed, groups of local friends and families strolling down the street. 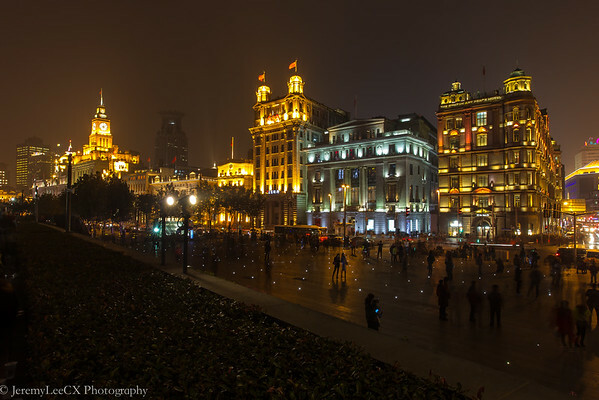 As I head towards the bund, the crowd starts to form and the lights of the colonial buildings along the bund also starts to light up in stages. 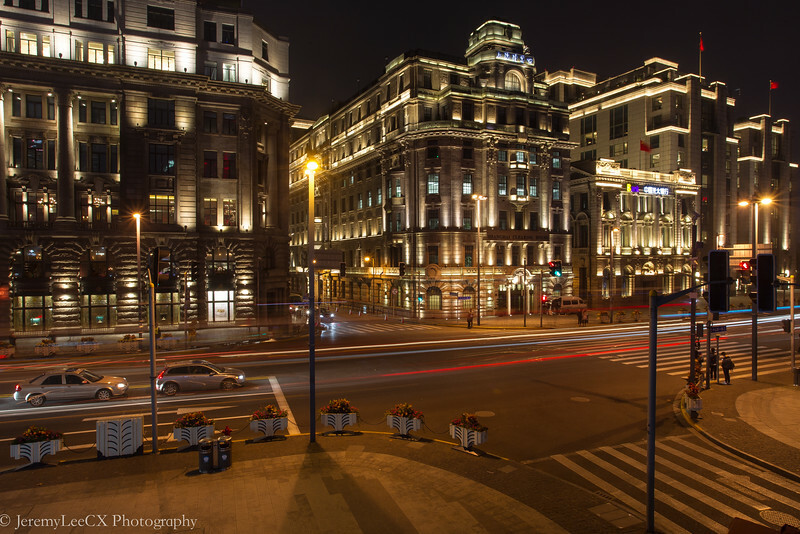 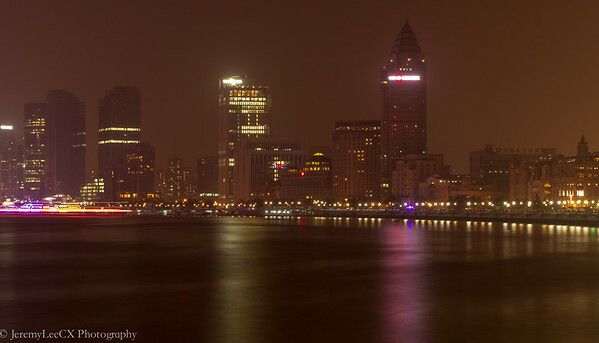 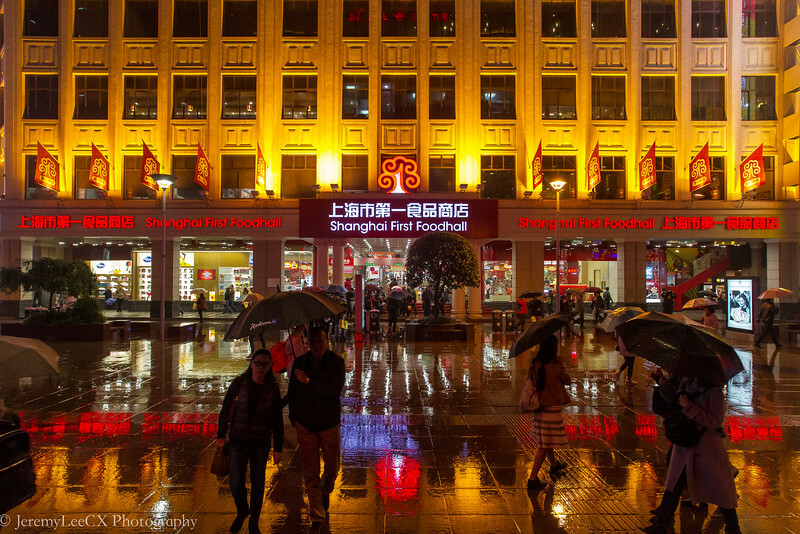 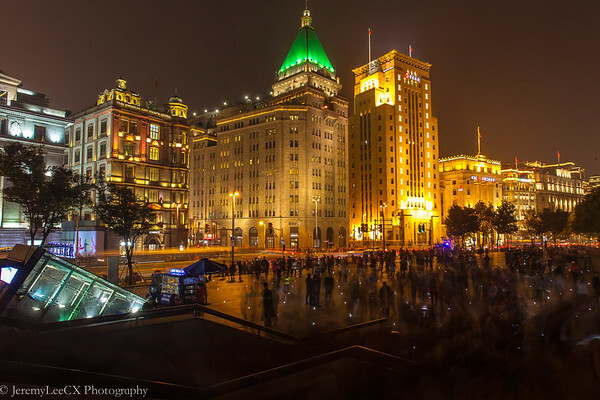 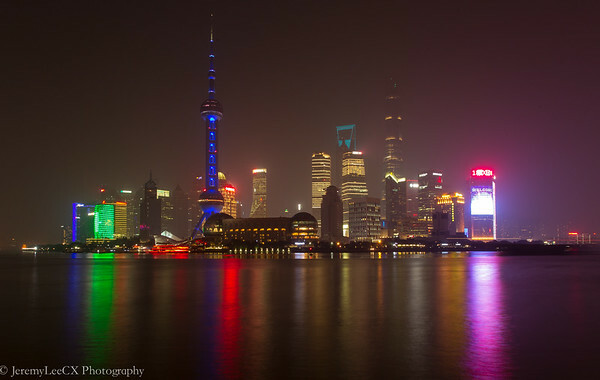 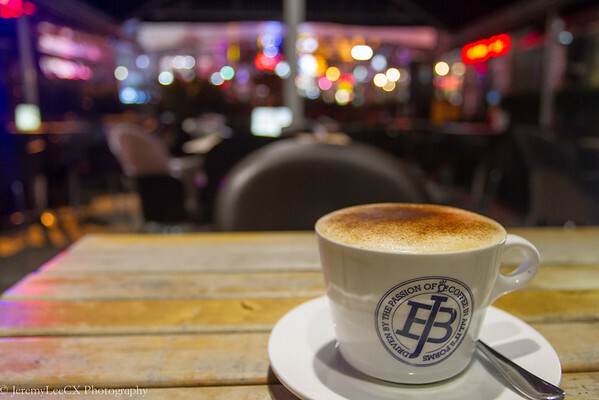 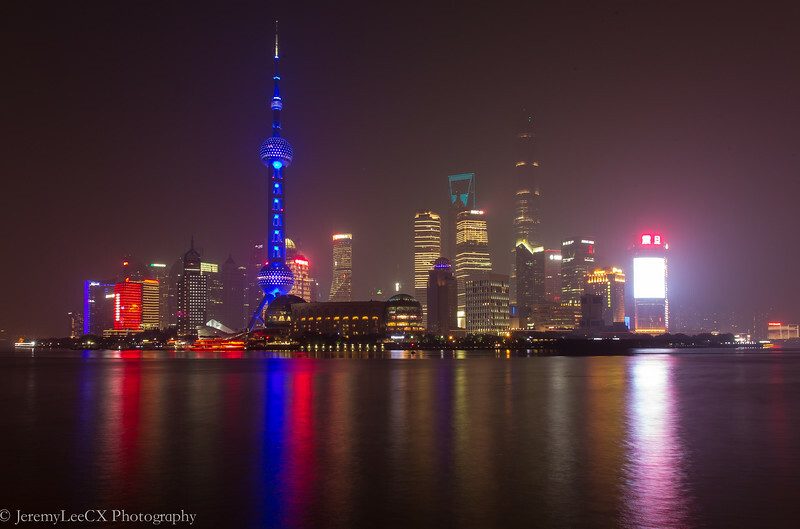 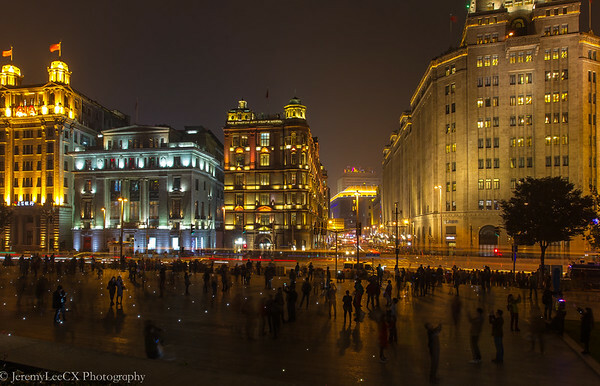 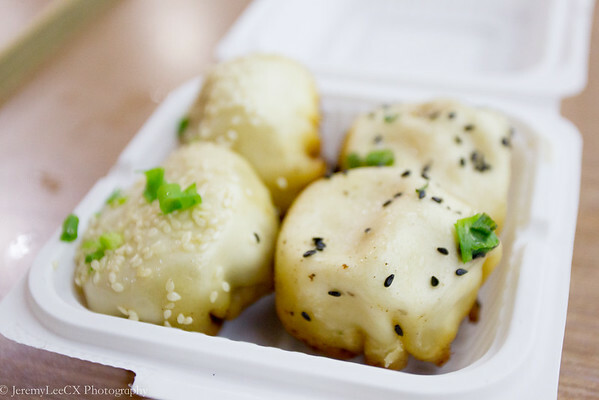 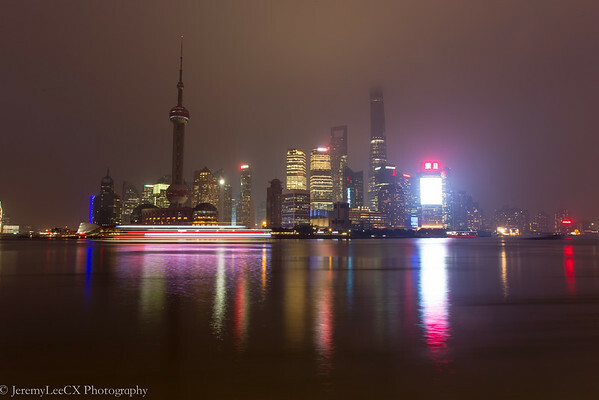 If the night is too cold, along the bund there are stalls selling local delicacies and also your favourite starbucks and delicatessen where you are able to grab a warm beverage. 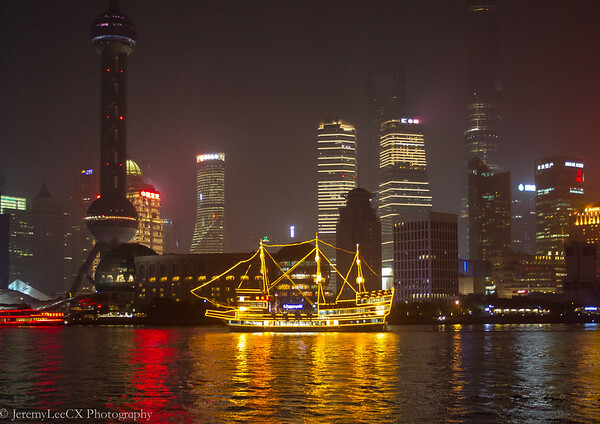 The beauty is not over yet, the real beauty is across the river. 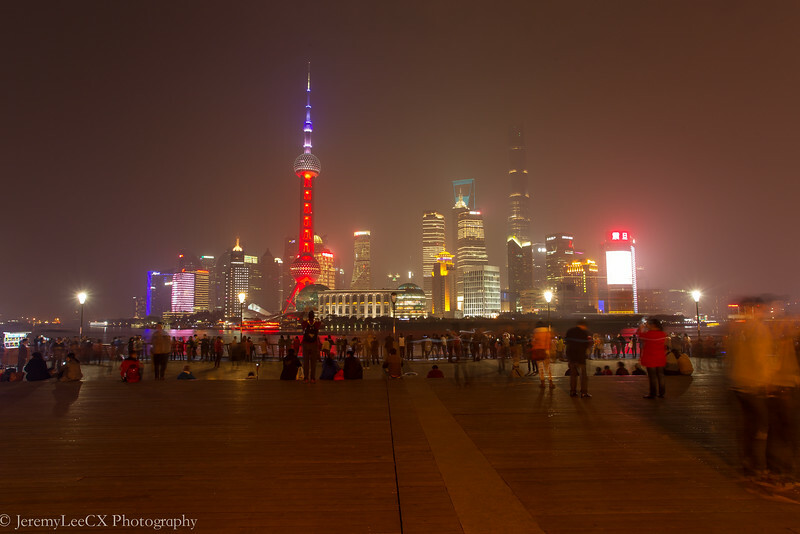 The Oriental Pearl Tower lights up at 7pm local time if im not wrong, and the lighting up comes in 3 stages. 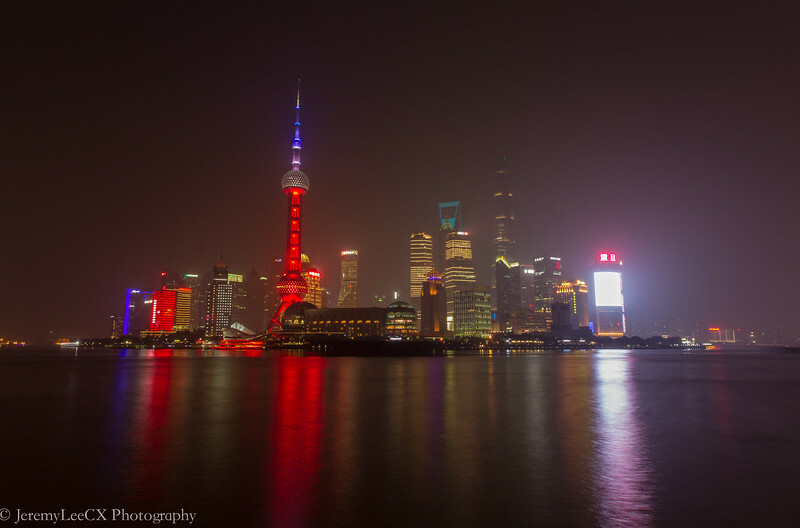 First the inner tower is lighted up before the entire tower followed by the a 3 tier colour lighting to the entire tower which changes depending on the days. 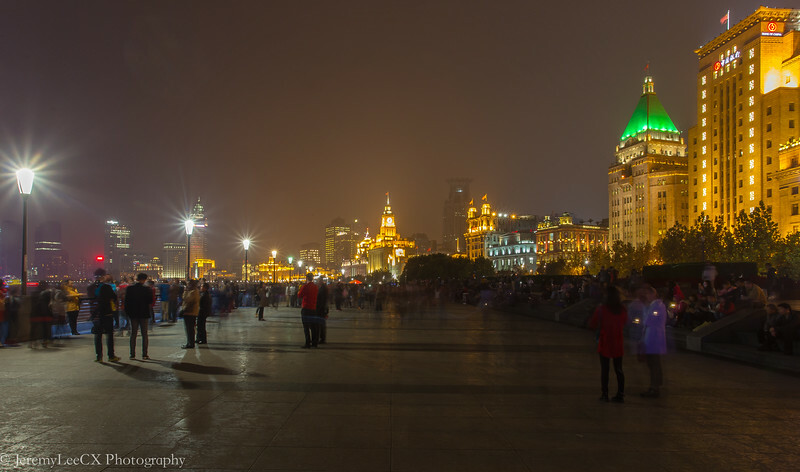 Be sure to reach early and grab an optimal photography spot as it is popular amongst tourists and locals.